The role of North Korea is a footnote in the sweeping history of that conflict, one that speaks mostly of the fraternal relations of two nations that separately fought bruising armed conflicts against the United States in the context of the Cold War. Decades later, the communist nations' friendship is apparent as Vietnam gets ready to host the second summit between President Donald Trump and North Korean leader Kim Jong Un next week. 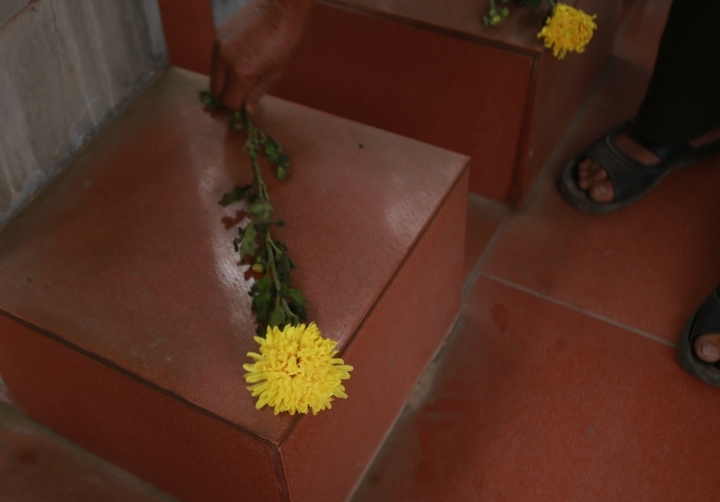 "When they died, Vietnamese people treated them the same as Vietnamese martyrs who sacrificed for the country," Duong Van Dau, the caretaker of the memorial, said last week. On the high ground where the fallen pilots were interred, their tombs all face northeast, toward their homeland. South Korea's role in the war is much better known. From 1964 to 1973, Seoul deployed more than 300,000 military personnel to help the U.S. effort in South Vietnam against the communists. It was timely assistance. Vietnam's fleet of aging Russian-made MiG-17 fighters was taking heavy losses defending against the U.S. bombing campaign against North Vietnam, Operation Rolling Thunder. China and Russia provided material assistance, but the number of trained Vietnamese pilots was shrinking by attrition. "The agreement was signed by the two governments, but we didn't know anything about it. I did know that North Korea wanted to send pilots to Vietnam so that they could practice and gain experience with the aim of building its air force," Vu Ngoc Dinh, one of the Vietnamese pilots who served alongside the Koreans, recalled in an interview with Istvan Toperczer, a Hungarian air force officer turned historian. "The pilots were their best ones whose parents or relatives were working for the Politburo of the North Korean Central Party Committee," Dinh is quoted saying in Toperczer's book "MiG Aces of the Vietnam War." "They sent their pilots and commanders to Vietnam and we provided the hardware they required during their service," Dinh said. "They kept everything secret, so we didn't know their loss ratio, but the North Korean pilots claimed 26 American aircraft destroyed." 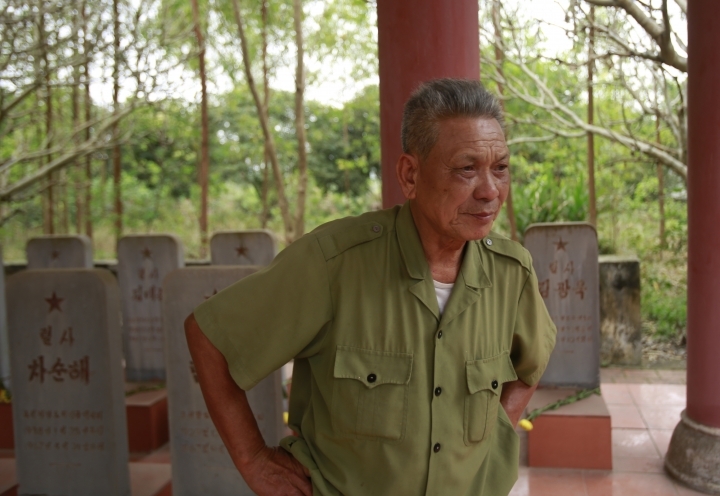 "Although they fought very bravely in the aerial battles, they were generally too slow and too mechanical in their reactions when engaged, which is why so many of them were shot down by the Americans," Dinh said. "They never followed flight instructions and regulations either." "For the North Korean pilots who fought to protect our country and died for our country, I salute them. Being a soldier myself, I have great compassion for them. 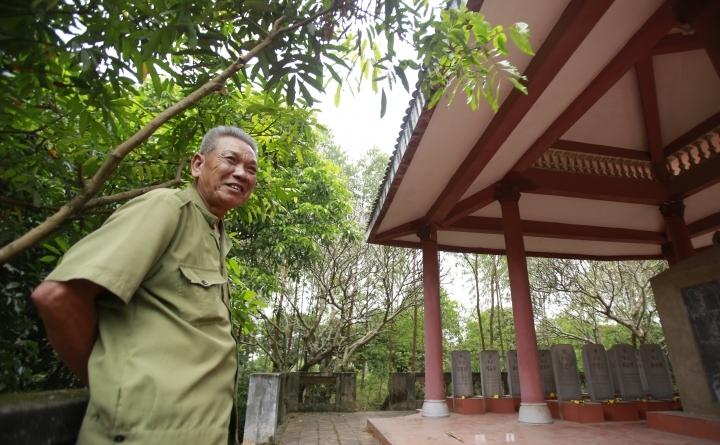 I see them as my comrades, regardless of the nationality," Dau said. In 2002, the remains of the pilots were repatriated from Vietnam to North Korea in a ceremony held by the military of both countries. 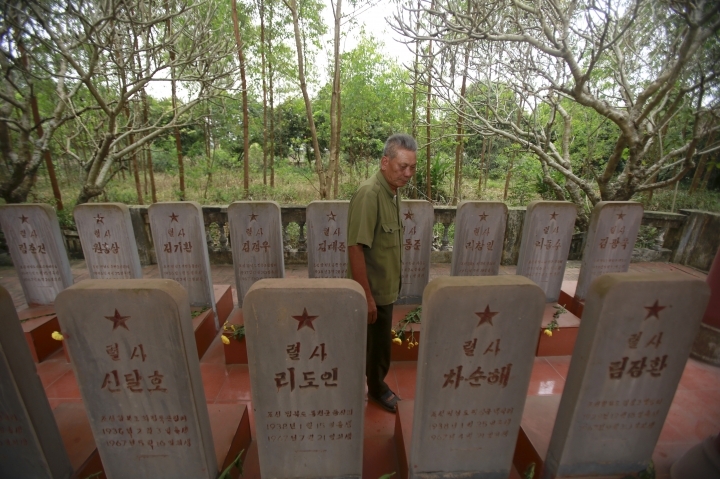 But the headstones remain, lined up in two rows behind a memorial marker with an inscription in Vietnamese: "Here used to lie 14 North Korean comrades." Only in 2000-2001 was the participation of the North Korean pilots officially acknowledged by Hanoi and Pyongyang. Since then, there has been a trickle of additional details about North Korea's involvement in the Vietnam War, teased out mostly from Vietnamese memoirs and state press accounts and Eastern European diplomatic archives. What has also emerged is a revisionist view of North Korea's assistance, which suggests Pyongyang would have been happy to see Hanoi fight to the last Vietnamese. "Sinking deeper and deeper into the quagmire of the Vietnam War, the U.S. government did not want to open a new front in Korea if it could help it," wrote Balazs Szalontai, a Hungarian historian of North Korea. He alleges that North Korea's then-leader, Kim Il Sung, "had much to gain from keeping America bogged down in Vietnam" and for that reason went out of it way to sustain North Vietnam's struggle. Conversely, "the very fact that North Korea's assistance to Hanoi was strongly motivated by self-interest also implied that Pyongyang would not take kindly to any steps that could potentially enable the U.S. to get off the Indochinese hook and refocus its attention on the Korean peninsula," he noted in an essay on nknews.org, a website with news and analysis about North Korea.